Intellia Therpeutics dropped from $34.95 to $25.78 on August 1, then inched up to $27.74. The stock declines came despite the companies issuing statements saying either that they did not use the methods referred to in the study (CRISPR Therapeutics), or that they saw no significant impact on the development of clustered regularly interspaced short palindromic repeats (CRISPR)-based drugs (Intellia Therapeutics, Editas Medicine). While investors in public companies both large and small may have been briefly thrown off by the negative study, and earlier studies that also linked CRISPR to failures in some circumstances, investors in private companies appear to have taken a more positive view of CRISPR and gene editing, with two companies attracting $100 million or more in investment during the first half of 2018. Below is a list of the top 10 companies focused on gene developing and/or applying gene-editing technologies—five public companies, and five private companies. The public companies are ranked by their 2017 revenues, whether from sales of products or services, or from collaborations and R&D activity. The private companies are ranked by the total capital they have raised, as disclosed in press statements. Each company is listed with a short explanation of their recent activity. While all but one of the top public companies are developers of new treatments for disease (the other is a developer of tools), the top private companies listed offer more of a variety of specialties: Two focus on agricultural applications for gene editing, two on therapeutics, and one on tools and tech. Looking further down the list of private companies are some up-and-comers that bear watching in the near future, should they raise additional capital or go public. Such companies include Senti Biosciences, which in February raised a $53 million Series A financing toward applying gene editing to next-generation adaptive therapies based on synthetic biology, and genome-engineering platform developer Synthego, which raised most of its $49.5 million in total capital last year when it completed its $41 million Series B financing. Also worth watching are Exonics Therapeutics, a developer of SingleCut CRISPR technology to repair mutations causing Duchenne muscular dystrophy and other neuromuscular diseases ($45 million Series A in November 2017), and Caribou Biosciences ($41.5 million), whose CRISPR technology is based on research by the laboratory of CRISPR pioneer Jennifer Doudna, Ph.D., of the University of California, Berkeley, and collaborators. Revenue consisted entirely of collaboration and other R&D activity, which more than doubled over 2016, rising nearly 127%. That figure reflected a decrease in expense and additional money from partner Allergan, which holds a licensing option on up to five Editas early-stage CRISPR genome-editing programs targeting eye diseases under an R&D partnership launched in March 2017. The five include EDIT-101, a genome-editing treatment candidate for Leber Congenital Amaurosis type 10 (LCA10) that Allergan plans to develop and commercialize, the companies said earlier this month. Revenue consisted entirely of collaboration revenue, which jumped 58.5% from 2016, primarily due to Regeneron Pharmaceuticals licensing Intellia’s CRISPR-Cas gene-editing technology to develop therapies for diseases that may be treated by editing genes in the liver, under a collaboration launched in 2016. On August 1, Intellia reported progress in its lead in vivo program in transthyretin amyloidosis (ATTR), with plans to prepare for a pre-Investigational New Drug meeting with the FDA later this year and submit an IND application by the end of 2019. Sangamo Therapeutics saw its revenue nearly double last year, rising nearly 89% over 2016, primarily due to its first collaboration with Pfizer. In May 2017, the companies agreed to develop recombinant adeno-associated virus (AAV) gene therapies for hemophilia A, including SB-525. On August 8, Sangamo announced positive preliminary data from the Phase I/II “Alta” trial (NCT03061201), including no treatment-related serious adverse events and achievement of therapeutic Factor VIII activity levels by the study’s fifth patient. The companies in January agreed to develop gene therapies using zinc finger protein transcription factors for ALS and frontotemporal lobar degeneration linked to mutations of the C9ORF72 gene. Collaborations account for all of CRISPR Therapeutics’ revenue, which jumped nearly 700% last year. But in May, the company saw a setback in its collaboration with Vertex Pharmaceuticals when the FDA imposed a clinical hold on the companies’ IND for sickle cell disease candidate CTX001, pending resolution of undisclosed questions raised by the agency in reviewing the application. On August 7, CRISPR Therapeutics said it had “a clear path” to resolving the hold, adding that the companies remained on track to launch a Phase I/II trial of CTX001 in transfusion dependent β-thalassemia later this year. Horizon Discovery expects to thrive with the RNAi and CRISPR end-markets, which are expected to grow at a compound annual growth rate of approximately 18% between 2017 and 2021. The company last year saw a 52% jump in revenue, and a transformation wrought by its acquisition of Dharmacon from GE, giving Horizon Discovery gene-modulation capabilities, additional revenue, and global cross-selling opportunities. Late last year, Horizon Discovery added to its Edit-R portfolio by launching its CRISPR activation (CRISPRa) reagent platform, designed to enable native gene overexpression for meaningful gain-of-function studies. Inari Agriculture on August 9 added $40 million in Series B financing to its total capital raised, less than a month after the developer of agriculturally-focused CRISPR gene-editing technology spun out of Flagship Pioneering and emerged from stealth mode. The company began in 2016 and has since grown to more than 80 scientists, statisticians, engineers, and academic advisors. Inari says proceeds will enable it to accelerate deployment of technologies into crops, expand development of tools, and increase its staff. 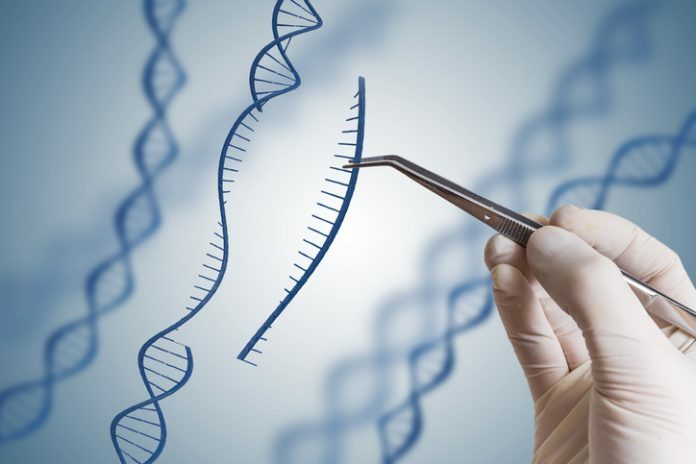 Back in February, Inscripta closed on $55.5 million in Series C financing, saying the capital would enable it to accelerate development and commercialization of its gene-editing tools, including instruments, reagents, and software, and grow the company’s staff. Early fruits of that labor emerged last month, when Inscripta was awarded its first U.S. patent covering systems using MAD7, the company's first free CRISPR enzyme, as well as patent coverage for systems using another MADzyme, MAD2. Inscripta changed its name from Muse bio last year. Launched in May, Beam Therapeutics made headlines as much for who launched the precision genetic medicine developer—its co-founders included CRISPR pioneer Feng Zhang, Ph.D.—as for what it aspires to achieve. Beam declared itself the first company to pursue development of new therapies using CRISPR base-editing technology on May 14, when it disclosed that it raised up to $87 million in Series A financing led by F-Prime Capital Partners and ARCH Venture Partners. Monsanto has invested most of the $125 million raised by Pairwise Plants, an agricultural startup created to develop novel genome-editing tools leveraging the natural genetic diversity of plants. On March 20, Monsanto said it would contribute $100 million to access and develop Pairwise intellectual property in row crop applications, including an option to commercialize products resulting from the companies’ research collaboration. Monsanto’s VC arm, Monsanto Growth Ventures, joined Deerfield Management in co-leading Pairwise’s $25 million Series A financing. Precision BioSciences vaulted to the top among private gene-editing companies on June 26 when it announced a single financing—its oversubscribed $110 million Series B round led by ArrowMark Partners, the third-largest financing among private biopharmas that garnered venture capital during the first half of 2018. Precision said proceeds will fund further product development efforts based on its ARCUS® genome-editing platform, derived from a natural genome-editing enzyme called a homing endonuclease.